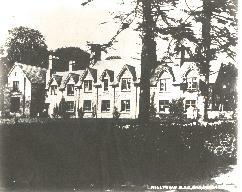 The Royal Irish Constabulary police force was stationed at Miltown for which a barrack was erected. This fine building which included the R.I.C. Barracks and a Protestant school, was not occupied when burned to the ground on Easter Sunday, 1921. It now is the site of a private residence.